For students, young people, parents and professionals who want to see more fresh, healthy and local food in the Hutt, and anyone who wants to meet new friends and collaborators! 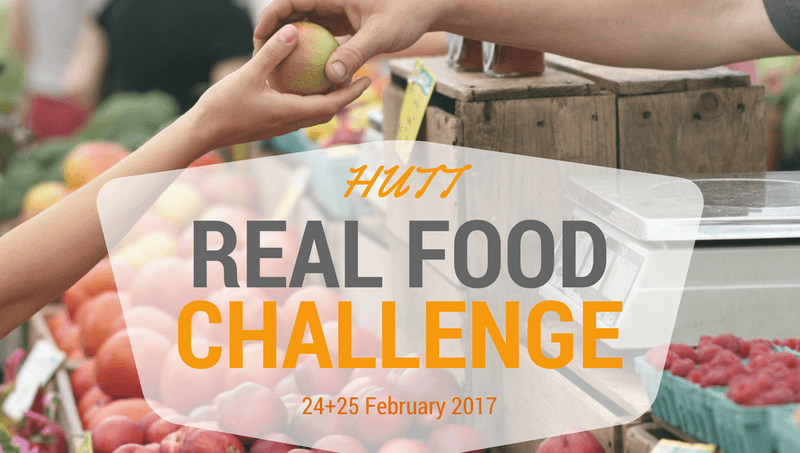 The Hutt Real Food Challenge is a creative and engaging all-day mission to fix our food system. At every step of the system, we can do things to improve access to fresh and local food in our communities. The challenge gives you an opportunity to pitch your ideas! Click to our Eventbrite page to reserve your place! Note: Paid ticket revenue will help teams who complete our Support Series as seed funding. - Foodies: Anyone with a love of food: whether you're a grower or gardener, a chef or hobby cook, a lover of local and artesian food or just someone who eats. - Entrepreneurs: People who want to make food their livelihood and use (social) enterprise to bring a new flavour to our community. - Changemakers: If you have a passion for community and want to start a project that makes a difference by donating your time, we want to hear from you! - Team players: If you have skills you can contribute: business, accounting, marketing, graphic or web design - or can offer some muscle and good energy, you'll be in high demand! See our beautiful website for more information about the Hutt Valley Food system and initiatives we love. On Friday night you are all invited to our launch night including dinner, and a chance to get a head start on the pack before Saturday's full day. Please indicate at registration if you intend to come to the Launch night. You’ll be working in teams to develop your ideas into game-changing initiatives that have real impact – supported by community leaders and local experts dedicated to help make your project happen! - Our 5-week support series to take your idea further. - 5 mid-week evening workshops from March to April plus coaching to develop your idea.